Product prices and availability are accurate as of 2017-10-04 15:16:56 EDT and are subject to change. Any price and availability information displayed on http://www.amazon.com/ at the time of purchase will apply to the purchase of this product. 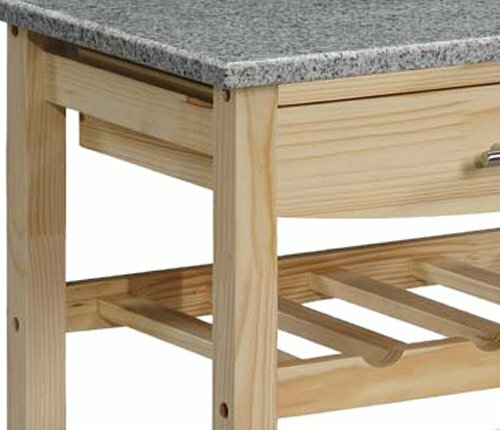 The Granite Top Kitchen Cart with Natural Finish makes quick work of a complicated concept: kitchen organization! 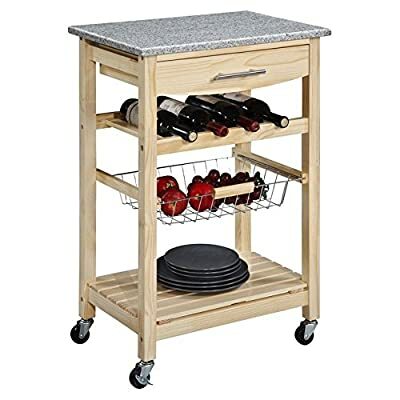 Packing tons of storage in a lightweight, versatile unit, this cart gives you work space, too, with a generous top surface made from natural granite. There's nothing better for food preparation. The cart itself is made from pine wood and MDF (medium density fiberboard), and has a light natural finish that contrasts nicely with the gray of the granite. 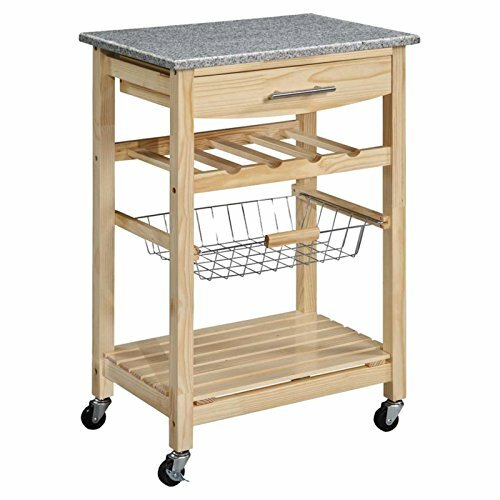 A built-in drawer, large bottom shelf, and pull-out wire basket let you keep utensils, towels, and supplies nearby. The built-in wine rack holds four bottles, too. 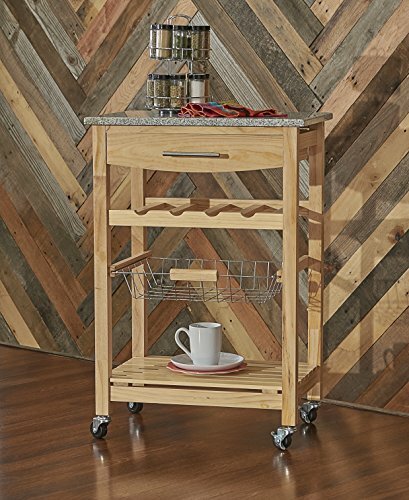 This cart is mounted on heavy duty locking rubber casters, and is finished on all sides, so you can use it in the middle of the room if you'd like. Measures 22.8W x 15.625D x 33.875H inches. Linon Home Decor Products has established a reputation in the market for providing the best trend-right products at the right price, while offering excellent quality, style and functional furnishings to every room in the home. Linon offers a broad selection of furnishings for today's discriminating and demanding retail environments. They offer outstanding values for every room; a total commitment of quality, service and value that is unsurpassed in their industry. Natural wood finish and granite top. Pine and engineered wood construction. Wire basket, shelf, and storage drawer. 4-bottle built-in wine rack. Heavy duty casters for easy mobility. 22.8W x 15.625D x 33.875H inches.